Since starting my new position at thewoolshop.ie I have seen crafts that I never heard of before let alone attempt to try, but because I work there I suppose its only fair I try something 'the chef must taste his own food' so to speak. Anyway I was interested in felting as its something I never heard of until I asked my sister who is always doing something crafty. First I was warned the needles are so deadly you would more or less have blood stained wool, rather than have something to be proud of, then I was told how much time it takes to do it, I was never one not to try out something new so I said lets give it a go. 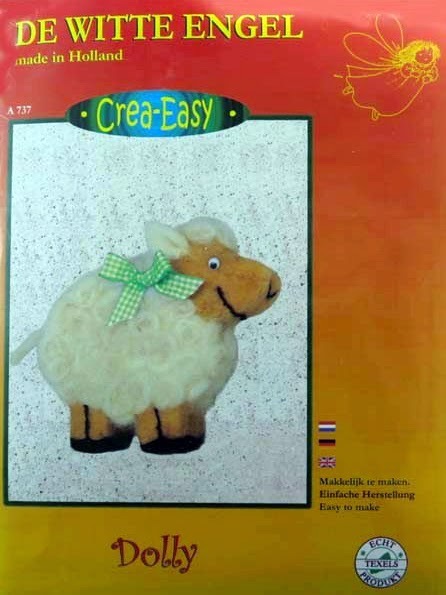 In this pack you will find one needle, a piece of foam to give you the initial shape, some wool, and some decorations. At first I thought this is going to be easy, I had all I needed or had I? In the kit they only supply enough for one side of the animal in my case a sheep, and one eye! One sad eye! 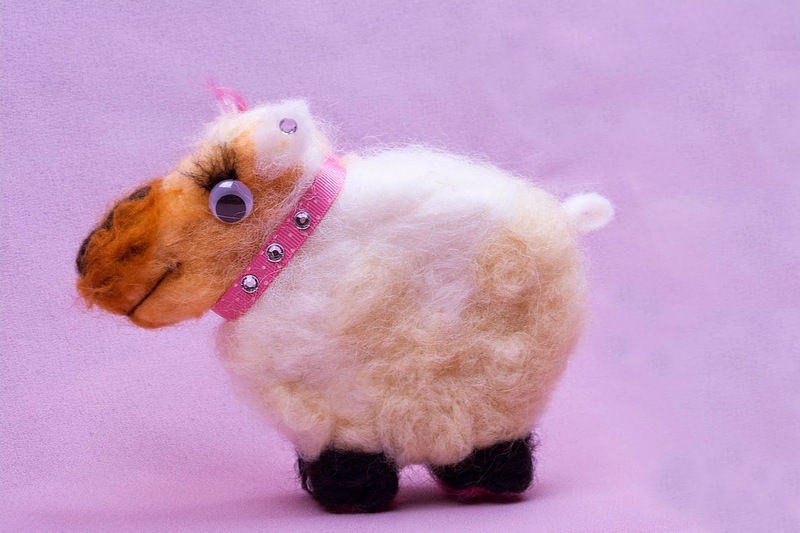 Lucky for me thewoolshop.ie had some left over felting wool in lots of colours so that wasn't a big deal, I could complete both sides easily, as for the decorations and the eyes I raided a craft box at my sisters house. Got all I need now, lets try it out. You get one needle so remember this, they snap so easily if you punch the wool at the wrong angle,.. lesson learned! Keep the needle in a straight smooth motion and you will have no problems.... or so I thought! The first punch with the needle went straight into my thumb. It's like been tested for blood sugars over and over. I have a new respect for diabetics now (lol.) After multiple wounds I got the hang of it, slow and steady is key. I took to it easily enough and I soon started to like it as I started covering more ground. The kit is great for beginners like me but its super basic. Don't expect anything amazing out of the kit but as a general starting point its pretty good I think. 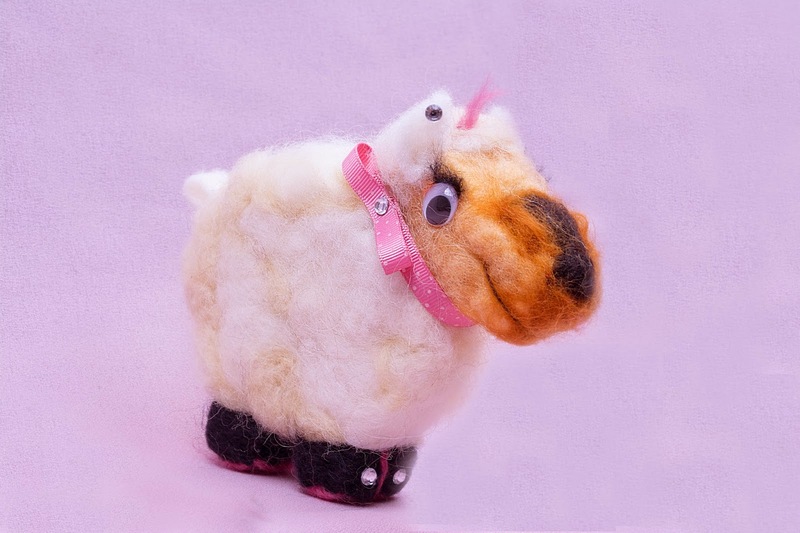 On completion of the felting it was time to customize the sheep, I decided to give it to my Sister as a present so I made it very much for a girl, I gave it a new coloured ribbon and some gems which I hot glued on. Presto! All done...not bad at all, great gift for anybody, especially after putting blood, sweat and tears into it, literally. The final word on this is, definitely try it, if you hate it then no problem but you never know, you may find something you really enjoy. 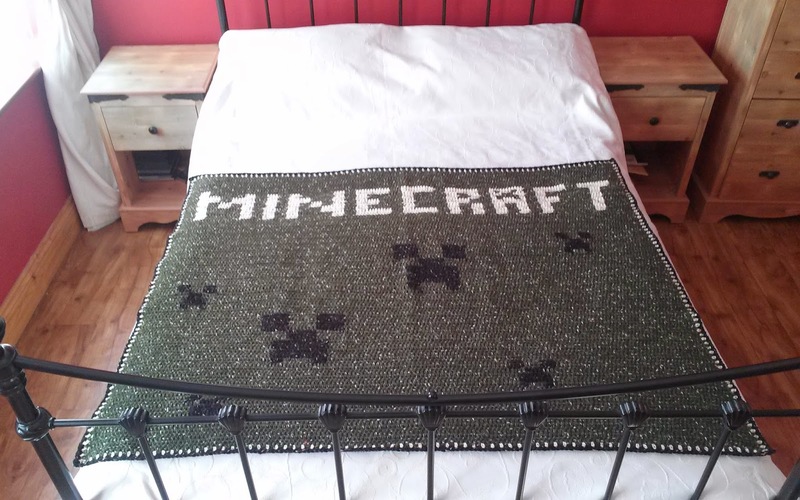 Follow the evolution of a handmade gaming blanket for a teenager, from its conception to the pattern design to the finished throw. 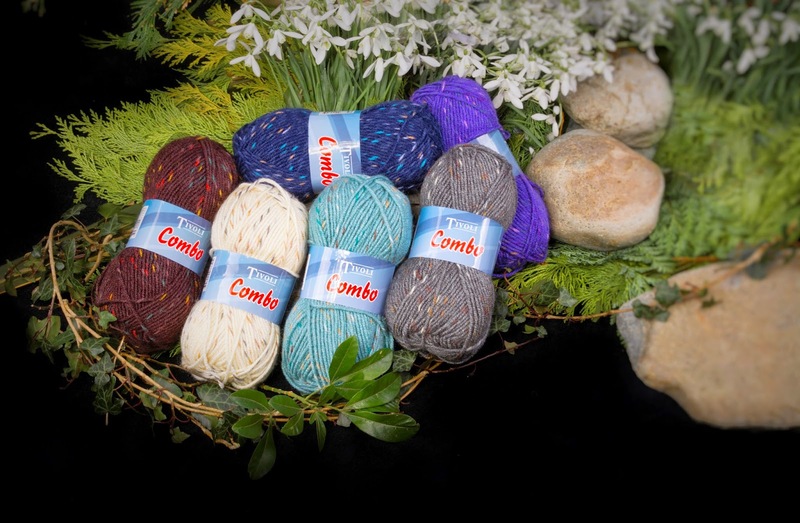 Watch the idea grow from a brainwave to a sketch, to a finished blanket and finally a PDF pattern. Over the years I have found it easy to find or design patterns for women and girls. Crochet has a delicate feminine nature lending itself to the design of beautiful lacey scarves and wraps, on the other hand I have found it next to impossible to find a masculine crochet project for that very reason. I wanted to make a blanket for my teenage son, something he could snuggle up in while watching a movie, playing video games, or even to take camping or to the beach but wouldn't look out of place thrown across a futon in a student flat. One of his favourite video games is Minecraft developed by Mojang, so when I realized Minecraft has an appeal covering all ages an genders I came up with a plan. The creative and building aspects of Minecraft allow players to build constructions out of the yarnured cubes in a 3D procedurally generated world. Other activities in the game include exploration, gathering resources, crafting, and combat. According to Wikipedia, finding this definition a bit robotic I turned to the 2014 Minecraft annual for my inspiration, I found a book far easier to relate too than the idea of a 3D world in virtual reality. Flicking through the pages of the A4 size book, it was obvious to me that the pixelated nature of the images would easily transfer to stitches, but in reality I didn't have to go past the front cover for Ideas. Fair isle is a technique I have used often while knitting but never crocheted, I wanted to incorporate the word "Minecraft" and a "creepers" face into the design of my blanket. I knew I could knit it swapping yarn as I go to give the effect, but as any of you who have knitted a baby blanket will know it could take an age to finish a knitted throw of any significant size. So I decided to try to crochet a creeper face using some leftover acrylic yarn to see if fair isle crochet was practical, I was delighted with the result, I soon realized that carrying across yarn between blocks of colour is far easier and tidier than when knitting, there is no need to twist the yarn as you can catch it in the stitches of the next row, I later discovered that catching the thread as you work is more correctly referred to as tapestry crochet. I entered hostile territory (a teenage boys bedroom) with dangerous booby traps to avoid (dirty socks and Lego) to retrieve the Minecraft book, so I was going to put it to good use. The cover was made to resemble old green leather with a gold inlay, the Minecraft logo emblazoned the top with the dark sinister face of a creeper beneath. 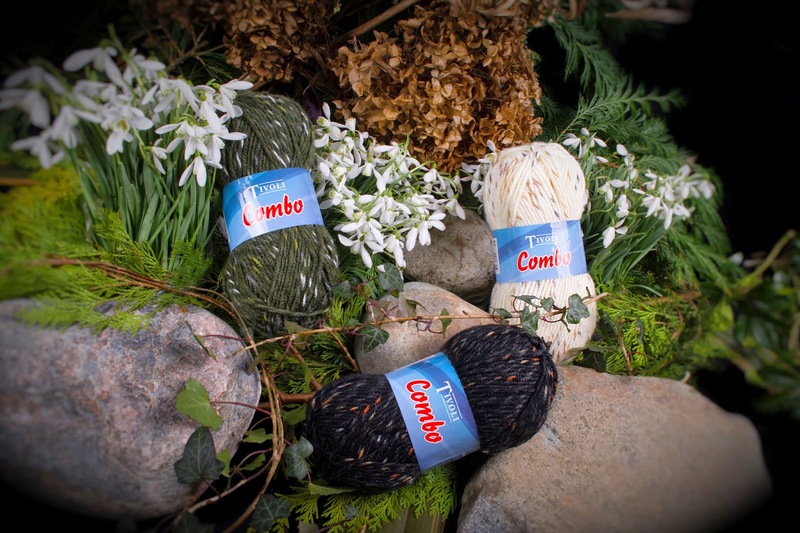 I made a visit to my favourite online wool shop www.thewoolshop.ie to research available appropriate yarn, this quest was made easy by the wool shop's easy to use search options. My first choice of yarn was an Aran weight wool blend from Tivoli. 9 balls of Tivoli Combo green with a fleck for the main body of the blanket, 1 100g ball of Tivoli Combo cream with a fleck for the lettering, and 1 100g ball of Tivoli Combo black with a fleck for the creeper face. I placed the order and waited for my postman. Whoop Wahoo, my yarn arrived! My design was sketched out on graph paper and I was ready to go. I should have taken a deep breath before rushing into it because by the time I had gotten to the end of the first ball of Tivoli Combo I realized I was using the wrong size crochet hook and my tension was all off, If I had kept going the finished Minecraft throw would be too stiff and not the cuddly blankie I wanted. My only choice was to rip back and start again with a needle a half size bigger. I spent many enjoyable hours in the evenings of the New Year crafting a blanket for my young man. My work now measured a generous 1.4m x 1m, the final touch was a trim of black and cream using the last of the yarn. 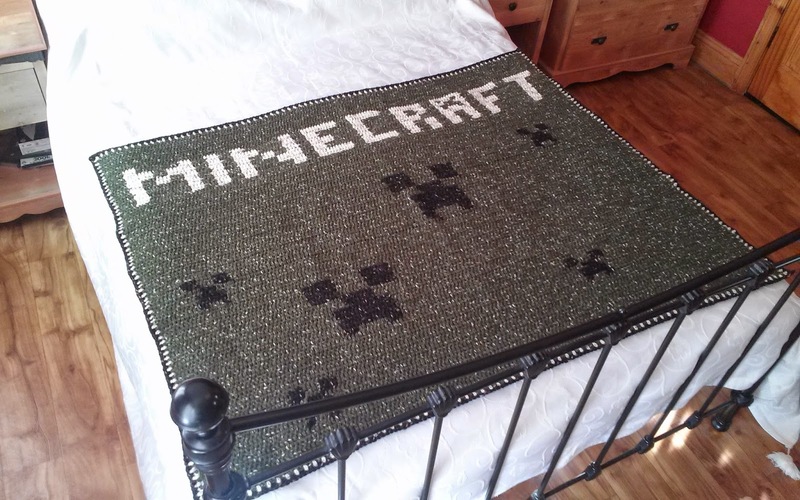 I sat proudly cradling the finished gaming blanket when I heard the school bus pull up outside. "Well what do you think?" I said as the door opened "Cool! is it for me?" replied my daughter! 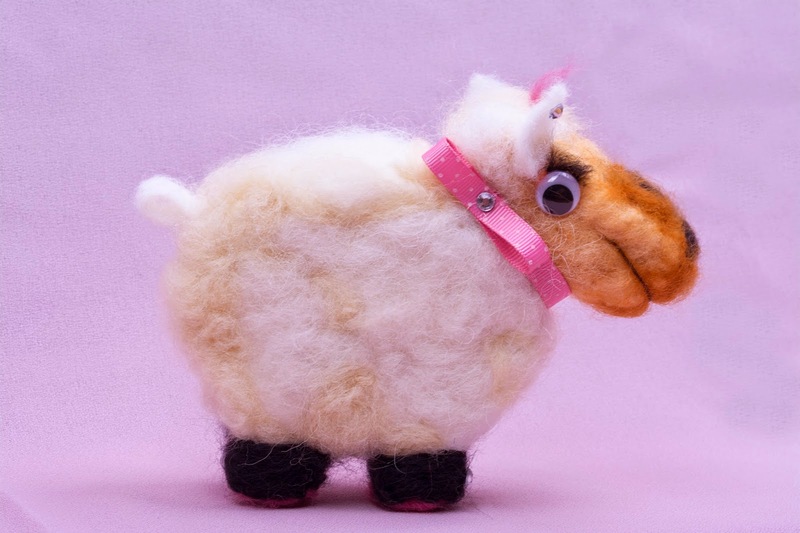 Ah well, another visit to thewoolshop.ie and off I go again. Thankfully I made a PDF of the pattern for my records. I might adapt the design to give it a girly twist, you will have to wait and see. 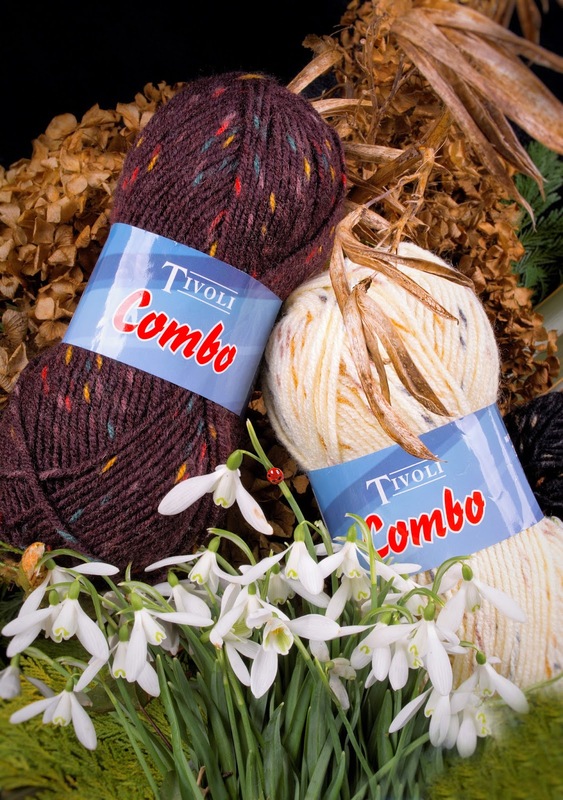 for a 1.4 x 1m blanket, use Aran weight wool blend from Tivoli. 9 balls of Tivoli Combo green with a fleck. One 100g ball of Tivoli Combo cream with a fleck. One 100g ball of Tivoli Combo black with a fleck. Quantities for other manufacturers may vary. Each character in the attached graph represents one treble crochet. Using Aran weight wool blend from Tivoli and a 6mm crochet hook. 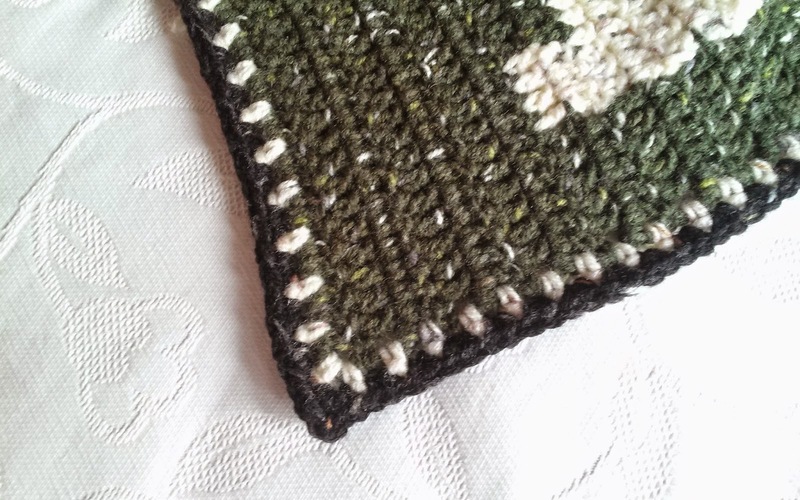 100mm x 100mm equals 12 treble stitches by 7 rows. Tension for other manufacturers may vary. switch to a 6mm hook and make a treble into the 4th chain from the hook, crochet a treble into every chain until you have 160 stitches, Note the first chain of four is equivalent to your first treble. Mark every 10th stitch with contracting marker thread. At the end of the row chain 3, turn the work to begin working on the next row remember always insert the hook into the second stitch of the row, as the chain 3 is equivalent to the first treble crochet of the row. Use the tapestry or fare isle crochet technique and the graph provided to complete your blanket. The marker threads and the pencil help you keep your place in the design. Starting at the top edge at one of the marker threads attach the cream yarn. Chain 3, double crochet into the space between the treble 2nd space over from where you joined the yarn, chain 2, double crochet into the second space over, repeat until you reach the corner. Double crochet into the corner space, chain 3, crochet into the corner space again, chain 2. 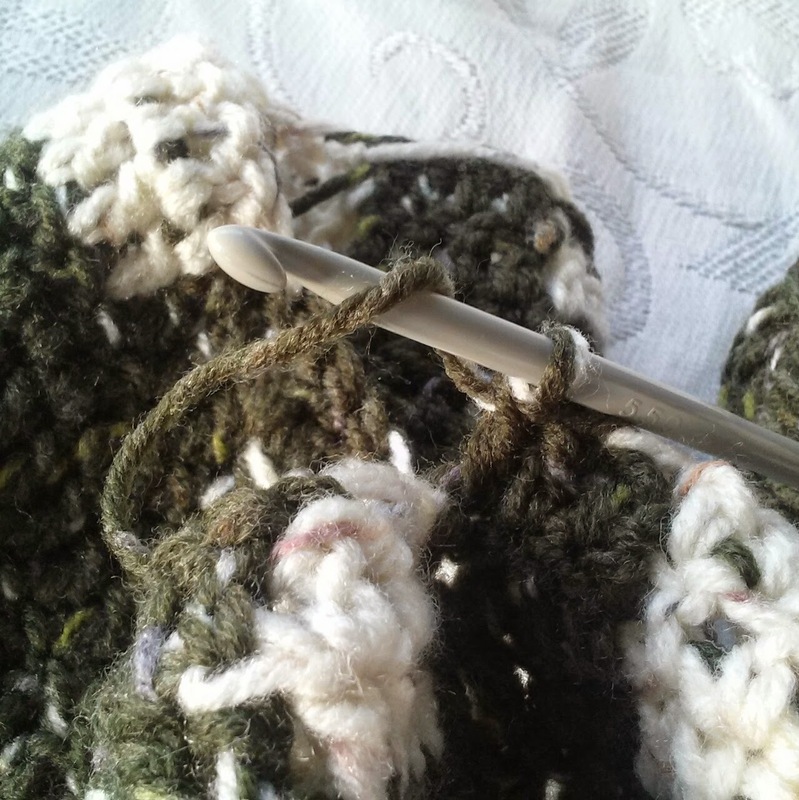 To work the side, double crochet onto the treble post, chain 2, repeat until you reach the corner. work the corner as before. Work the bottom as the top. work the side as before, when you reach where you started fasten off. Join the black yarn into any of the spaces between the doubles chain 1, double into the same space, double into every space until you reach a corner double twice into the corner space, chain 3, double twice into the same space, double into the next space and so on until you make one revolution, fasten off. Remove the marker threads and sew in all loose yarn ends.